The content of this chapter focuses on how the events of Pentecost are the catalyst to the reversal of the disinheritance of the nations that happened at Babel. 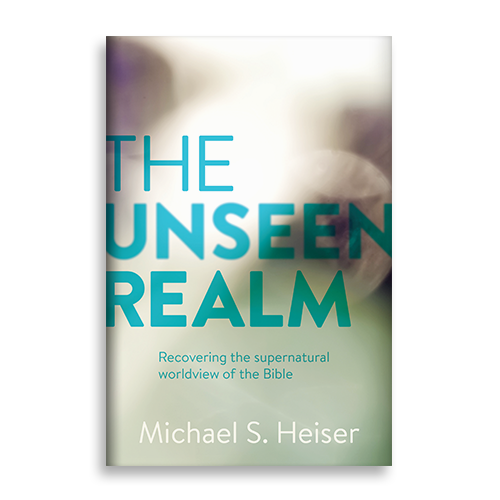 Since Isaiah 66 prophesies this reclamation, critical scholars often associate the theology of Isaiah 66 to be evidence of the movement of biblical thinking from polytheism to monotheism (one God over all nations). As noted in the book and elsewhere on this site, I reject the idea that orthodox biblical religion evolved out of polytheism. A. Andrew Das, “Paul of Tarshish: Isaiah 66:19 and the Spanish Mission of Romans 15:24, 28,” New Testament Studies 54:1 (2008): 60-73. Das’s main objection is that Tarshish in Genesis 10 is part of the genealogy of Japheth, connected to Greece and the Aegean. Spain is too far west. This view is also that of Wenham in his WBC Genesis commentary. This is not a coherent objection, especially given the Babylonian context of Gen 1-11. As I noted in Unseen Realm in passing, the clear Mesopotamian context of a panoply of items in Genesis 1-11 provides explanatory power to the idea that Gen 1-11 was written or edited during the Babylonian exile (note that Wenham embraces the lateness of this material — “P” — but doesn’t apply that to the matter of Tarshish, as Day does in the image below). If this is the case (and it seems quite likely given what else dives deeply into Mesopotamian literature in Gen 1-11), then note Day’s response to the “Tarshish must be in the Aegean” claim. It doesn’t, and wasn’t. 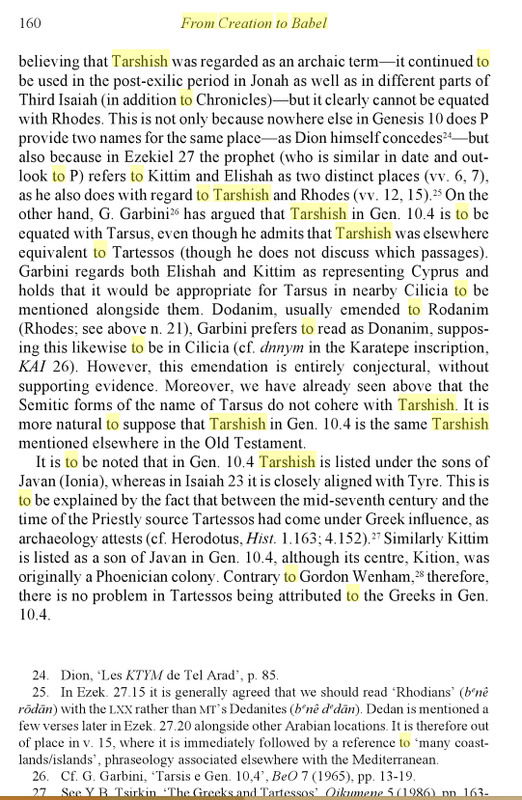 Tarshish is under Japheth because at the time of the composition of Genesis 10, Tarshish (= Tartessos in Spain) was under Greek control). Richard Last, “What Purpose Did Paul Understand His Mission To Serve?” Harvard Theological Review 104, no. 03 (2011): 299-324.